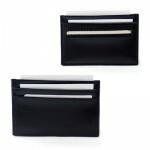 This genuine leather card case is the perfect corporate gift in a wide variety of situations. It has two pockets – one for your name cards to give out, and another to keep the business cards of the people that you meet. As genuine leather we can hot stamp it with your corporate logo for great branding, or for something a little more understated we can use corporate embossing of any custom design that you would like to nominate. This item can be used to welcome incoming staff, especially as a sample of a corporate gift that is both highly functional, but also something that your people will be happy to carry and be reminded of you. 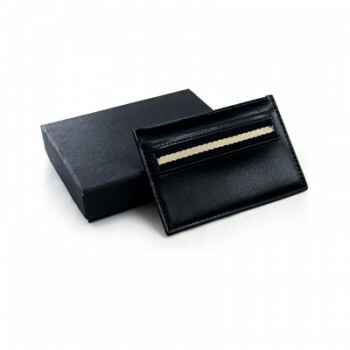 In the past Eventus Gifts has prepared 3000 of a similar customised name card wallet for a major insurance broker in Singapore – embossing this leather item with a logo and initials. It also matches well as part of a custom designed stationary set that you can give away to valued client.